WHATEVER happens in the Brexit vote today, one element is for certain. The BBC has been ramping up ‘no deal’ paranoia as a consistent theme of its coverage for a very long time. Despite the Leave vote in 2016, the Remain chums at the Corporation have a very different view. ‘No deal’ is to be avoided like the plague. When Peter Lilley last week published his 30 truths about ‘no deal’ was it elevated to headline status on any BBC outlet? If it was, Google and the BBC website provides no trace. In this respect, the BBC is arguably now behaving like a political grouping or faction in its own right. And it prompts the question of to what extent the Downing Street press operation – headed, of course, by a former BBC producer and editor, Robbie Gibb – is influencing the tenor of the Corporation’s coverage. Of course, publicly the BBC would swear blind that such behind-the-scenes intervention is impossible. But former BBC freelancer Owen Bennett-Jones last week made allegations that one of his managers back in 2004 intervened to avert Jack Straw’s (and the government’s) displeasure over an interview he had recorded in which the then Foreign Secretary had lost his temper. The exchange, Bennett-Jones claimed,never saw the light of day. Whatever goes on, News-watch is currently completing a survey of BBC Radio 4 Today’s coverage of the Brexit negotiations during the autumn when the key Salzburg and Brussels ‘summits’ were held. The preliminary findings confirm that the stifling blanket negativity towards ‘no deal’ was a vital ingredient in the framing of content during this crucial period of Leave debate and negotiations. How was this done? Ingredient one was that those who want a clear Brexit which without question involved leaving the single market, the customs union and ECJ jurisdiction, comprised only one in three of the programme guests, and they spoke only around 20 per cent of the Brexit-related words. Further, a mere handful – Bernard Jenkin, David Davis and a couple of business figures – had the opportunity to speak favourably about ‘no deal’. What they did say on this topic was kept to a minimum. Completely absent from the programme were any features or interviews which explored the possible economic advantages of leaving the EU, despite frequent reports in the period which explored the potential opportunities. In sharp contrast, there was a clutch of special features – some elevated to headline status – in the survey period in which BBC journalists sought out the views of those who think ‘no deal’ will be catastrophic and lead, for example, to food shortages, endless lorry queues and permanent loss of trade. In this respect, their key source of alleged ‘authority’ was Stena, the Swedish-owned ferry company whose billionaire owner was strongly opposed to Leave before the referendum and has now threatened to re-flag (to an EU country) its entire UK-based fleet. What else? Well the programme in the monitoring period was stuffed full with no fewer than 30 figures from the EU who variously argued, with minimal challenge from presenters, points such as that Brexit was based on a lie, that no deal would be a catastrophe, and that – surprise, surprise – much more compromise was therefore needed by the UK government. Next in terms of programme guests was a battalion of EU supporters, Remainers and second referendum supporters, ranging from Gina Miller, Nick Clegg and Ed Miliband to all the usual suspects in between. All were given an easy ride in pushing their various views against ‘no deal’ – those who said it would be a ‘catastrophe’ did so without challenge. Another important source of ‘no deal’ negativity was the BBC’s so-called reality check team. Predictably, they took the gloomiest possible view of the Northern Irish backstop, and of the prospect of chaos at ports. But that was not all. 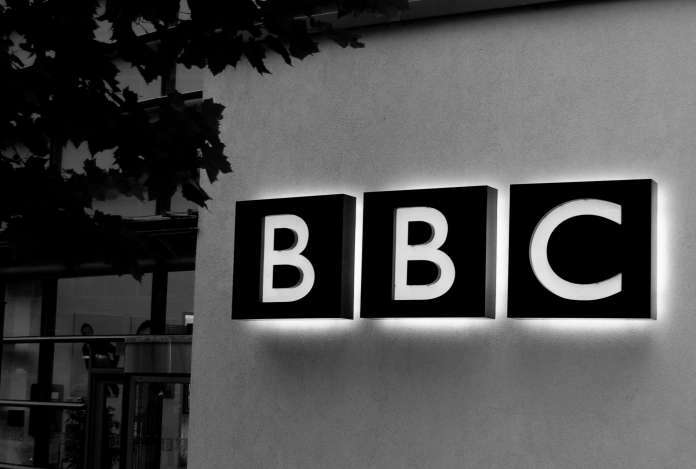 During this period, they actually spent licence fee-payers’ money on commissioning a report from the Institute for Government about the impact of Brexit. This was elevated to bulletin status. The report claimed to be neutral but was anything but, rather, an extension – or ramping up – of Project Fear. A moment’s look at the institute’s website – its chair is Lord Sainsbury of Turville, an ardent Remainer, and other board members include Baroness Amos and Liam Byrne, both former Labour MPs – would have confirmed its negativity and bias. These four strands of ‘no deal’ pessimism would easily have been sufficient to swamp the meagre contributions from those wanting a reversion to WTO terms. But for the Today programme, they were not enough. On top of this BBC presenters and correspondents piled in with numerous ‘no deal’ elephant traps. For Political Editor Laura Kuenssberg, such an exit ran the risk of ‘total chaos’. Europe Editor Katya Adler warned of dire problems to passenger and freight flights, and to trade in the wider sense. Nick Robinson compared ‘no deal’ to a ‘cliff-edge’. Their negativity amounted to a deluge. Was it tempered at all by exploration of the positives? Emphatically not.